Georg Philipp Telemann: Grillen Sinfonie in G Dur, TWV 50:G1, für Flöte, Oboe, Klarinette, 2 Kontrabässe, Orchester und b.c. Francesco Maria Veracini (1690-1768): Orchesterouvertüre VI in g Moll für zwei Oboen, Fagott, Streicher und b.c. Antonio Vivaldi: ​​Concerto C Dur per molti strumenti, RV 558 für 2 Violinen, 2 Oboen, 2 Flöten, 2 Fagotte, 2 Klarinetten, Cello, Streicher und b.c. Herzlich willkommen zu den Blockflötenfesttagen Stockstadt! Wir freuen uns, Ihnen die 34. Edition, welche vom 30. Mai bis zum 2. Juni 2019 dauert, des unverkennbaren Festivals rund um den flauto dolce zu präsentieren und Sie zu einigen unvergesslichen Tagen nach Stockstadt einladen zu dürfen. Die traditionsreiche Veranstaltung präsentiert sich auch 2019 mit 7 Konzerten, dem Meisterkurs und der Messe. Zusätzlich laden wir Sie wiederum herzlich ein, am Donnerstag Nachmittag im großen Blockflöten-Orchester Stockstadt mitzuspielen und die Altrheinhalle auf das Festival einzustimmen. Am Freitag beginnen die Musiktage wie gewohnt mit dem Meisterkurs, wir freuen uns, dass in diesem Jahr mehrere Dozenten Ensembles, Solisten und das Publikum unterrichten werden. Dann öffnen sich auch die Tore zur Messe, welche die repräsentativste auf dem Gebiet der Blockflöte und der Alten Musik ist. Die Ausstellung, welche bereits 2018 im Vergleich zum Vorjahr um knapp einen Viertel grösser und vielfältiger durchgeführt werden konnte, erfreut sich internationaler Beliebtheit. 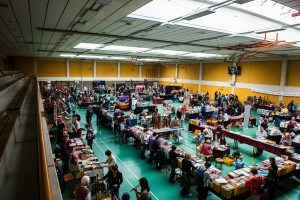 Wir erwarten viele namhaften Blockflötenbauer aus Europa und Übersee, Verlage, Musikhäuser und Produzenten und freuen uns auf die Farbigkeit in der Messehalle. Neu besteht die Möglichkeit, in abgeschirmten Räumen Instrumente zu testen, für einige Minuten die Ruhe zu genießen und sich zu konzentrieren auf klangliche Eigenschaften. Gerne informieren Sie vor Ort über diese Möglichkeit. In den 7 Konzerten sind Sie herzlich eingeladen, Alte Musik und ungewohnte Blockflötenklänge facettenreich und vielschichtig zu erleben. Am Freitag Nachmittag laden die 5 Damen des Ensembles SELDOM SENE zu einem abwechslungsreichen Einstand in Stockstadt, während Sie abends Dorothee Oberlinger und ihr Ensemble 1700 mit Meisterwerken von Bach, Händel u.a. auf die Grand Tour mitnehmen wird. Am Samstag sind wir dreifach gespannt auf so noch nicht gehörte Klänge: Morgens debütiert das junge Ensemble PRISMA mit ungarischen Klängen, nachmittags entführt Sie Erik Bosgraaf mit Francesco Corti auf einen erlebnisreichen Dialog und abends erklingen frühbarocke, improvisatorische und animierende Klangprachten mit Meike Herzig und Artemandoline. Der Sonntag beginnt beschwingt mit Tanzmusik von Bach bis ABBA – wir freuen uns, die klassische Band SPARK mit ihrem neuen Programm präsentieren zu dürfen. 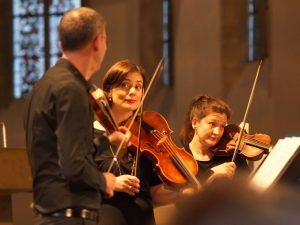 Der Abschluss des Festivals gestaltet sich majestätisch: Das preisgekrönte LA CETRA Barockorchester aus Basel lädt Sie zum 4. Debut in diesem Jahr ein, bei welchem ein Pausenkonzert einer Londoner Opernaufführung rekonstruiert wird. Händel und sein Clan laden Sie herzlich ein! Ich freue mich, Ihnen mitunter die interessantesten Blockflötistinnen und Ensembles von heute zu präsentieren und bin gespannt, mit Ihnen Stockstadt erleben zu dürfen: der Ort, wo wir alle zusammen kommen und zelebrieren, genießen, uns austauschen und uns inspirieren lassen von der unvergleichlichen Atmosphäre, von Klängen, schönen Instrumenten und wertvollen Kontakten. We’d like to wish you a warm welcome to the Stockstadt Recorder Festival! We are pleased to present to you the 2019 programme for this unique festival during which the flauto dolce (recorder) takes centre stage, and we invite you to enjoy a few unforgettable days in Stockstadt. This tradition-rich event is once again getting underway and includes courses, concerts and the music trade fair. We would like to extend an invitation to join us on Thursday afternoon and play with Stockstadt’s large recorder orchestra at a pre-festival warm up in the Altrheinhalle concert venue. As usual, the music festival starts on Friday with the master class – and we are very happy to be joined this year by several professors who shall be instructing ensembles and soloists. This will be followed by the music trade fair, the most prestigious fair in the field of recorders and Early Music. Taking part in the exhibition are some of the most renowned recorder makers from Europe and overseas, publishers, music store representatives and producers. We can’t wait to see the exhibition hall decked out in vivid colours. New this year: you have the chance to test instruments in a separate room, enjoy a few minutes of silence and focus on the instrument’s tonal qualities. Don’t hesitate to ask us about this facility on the day. In our series of 7 concerts, you are cordially invited to revel in this multifaceted experience which showcases Early Music and extraordinary recorder sounds. 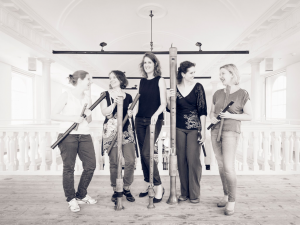 On Friday afternoon the 5 ladies of the ensemble SELDOM SENE invite you to a diversified debut in Stockstadt, while in the evening Dorothee Oberlinger and her ensemble 1700 with masterpieces by Bach, Händel and others will take you on the Grand Tour. On Saturday we are thrilled to listen sounds that have not yet been heard: In the morning, the young ensemble PRISMA debuts with Hungarian music, in the afternoon Erik Bosgraaf takes you on an eventful dialogue with Francesco Corti and in the evening to hear Early baroque, improvisatory and animating sound effects with Meike Herzig and Artemandoline. Sunday starts with dance music from Bach to ABBA – we are happy to present the classic band SPARK with their new program. 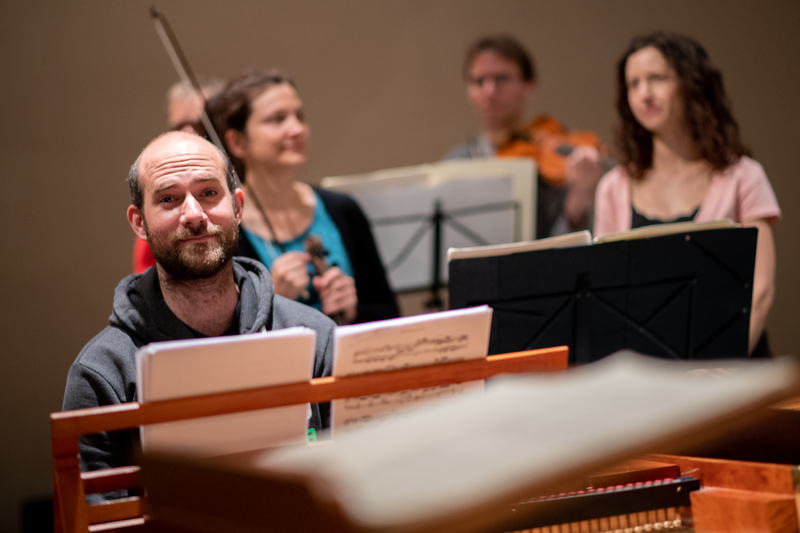 The conclusion of the festival is majestic: The award-winning LA CETRA Baroque Orchestra from Basel invites you to its 4th debut this year, during which a break concert of a London opera performance is reconstructed. 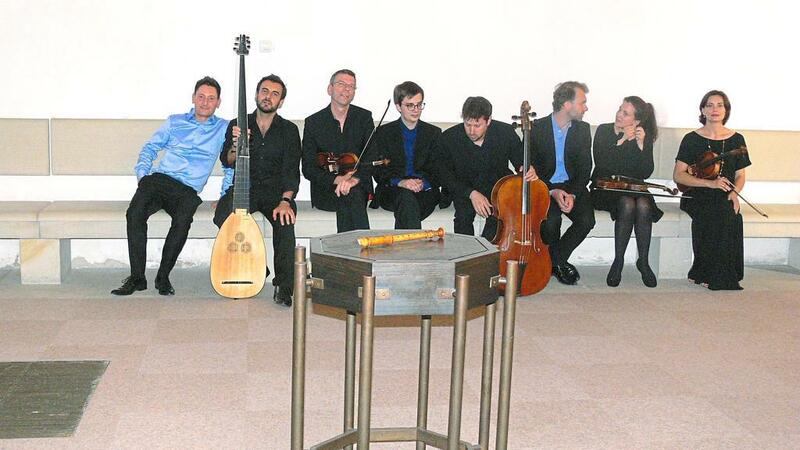 Handel and his clan cordially invite you! 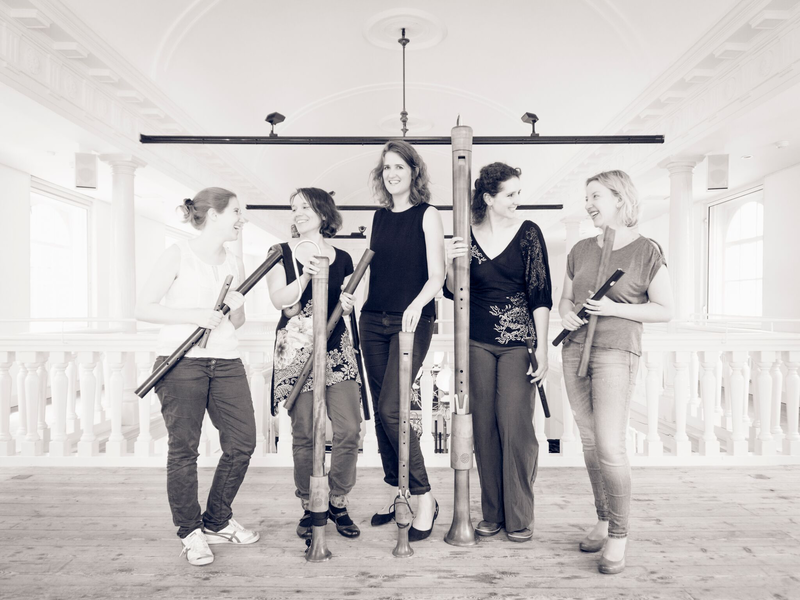 I am very pleased to present our best contemporary recorder players and excited to partake in the Stockstadt festival alongside you – an event at which we all come together to celebrate, to exchange experiences and be inspired by the unique ambience, by sounds, beautiful instruments and valuable contacts. Warm greetings to you all – see you in May! Maurice Steger | Juror Wir wünschen allen Beteiligten bestes Gelingen! We wish all participants good luck! Auguriamo a tutti i partecipanti buona fortuna! Nous souhaitons bonne chance à tous les participants! *** Der Wettbewerb ist öffentlich. Wir wünschen allen Beteiligten bestes Gelingen! We wish all participants good luck! Auguriamo a tutti i partecipanti buona fortuna! Nous souhaitons bonne chance à tous les participants! Der Wettbewerb ist öffentlich. Public competition. 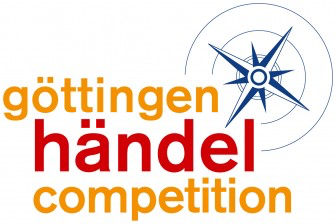 Welcome to the Göttingen Händel Competition! 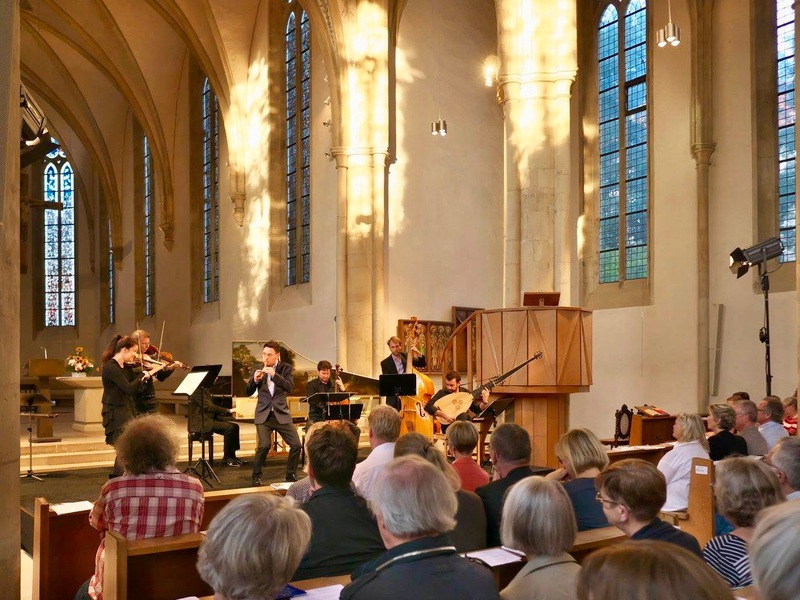 For many young ensembles, the renowned and long-standing Göttingen Historical Music Series junior competition served as a platform and launchpad from which to step into the professional world of music. The göttingen händel competition targets ensembles whose repertoire focuses on baroque music and historical performance practice. The competition forms part of the European ‘eeemerging’ project, which offers emerging ensembles first-rate working conditions and prepares them for the music market by organising workshops on programme design as well as management and marketing. The call for applications for the 2019 edition of the competition is now open! You’ll find the Terms and Conditions as well as all forms and explanatory information about the entry application documents on the following sites. Francesco Mancini : Sonata en sol Mineur No 11 pour flûte à bec & b.c. George Frideric Handel : Sonate en Fa Majeur, HWV 369, pour flûte à bec et b.c. Le projet MEETING MR HANDEL sera publié sur CD au printemps 2019 par harmonia mundi France et sera présenté avec les artistes originales en PREMIÈRE. 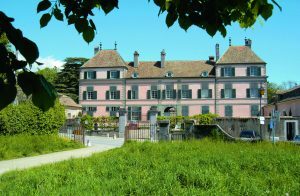 Bienvenue au Château de Coppet! 2019 bieten wir Ihnen den Besuch von 4 halbstündigen Lektionen an, in welchen mehrere Professoren die aktiv Teilnehmenden unterrichten werden. 3 Spielerinnen der Ensembles Seldom Sene und Royal Wind Music, ein Überraschungsgast und Maurice Steger sind die Dozenten. Es soll ein informatives Fest für alle werden. Lektion 2: Sie, liebes Publikum! Bitte nehmen Sie eine Altblockflöte in 440 Hz mit – Sie erhalten Blockflötentipps der Spielerinnen des Ensembles Seldom Sene. Es geht um Aspekte des Ensemblespiels mit mehreren Blockflöten, alle sind herzlich willkommen! Besuchen Sie unser Festival und den öffentlichen Meisterkurs 2019. Willkommen in Stockstadt 2019! London in the 1730s. 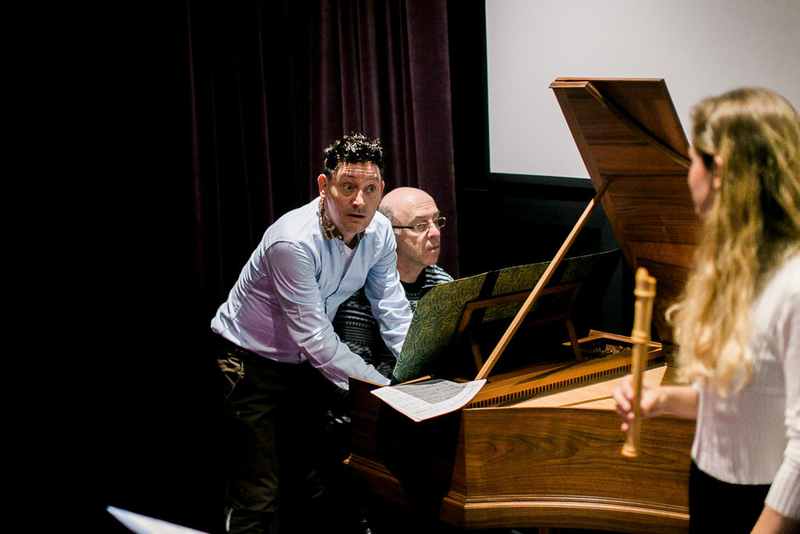 The music scene around George Frideric Handel is flourishing. The Saxon composer, theatre director and top salesman invites the most talented musicians and singers to his home in London to create opera productions of the highest order. The orchestra at the time produced lustrous and sonorous sounds; the numerous Italian visitors were greeted with enthusiasm. Musicians such as Franceso Geminiani, Giuseppe Sammartini, Pietro Castrucci, Francesco Barsanti or the English virtuoso harpsichordist William Babell, his concert master Matthew Dubourg, or the French flautist Michel Blavet, provided a breath of fresh air and were also able to showcase their skills as composers in the long interval breaks at opera and oratorio performances, which created a unique concert experience for London audiences. There were no concert halls as such; people went to the pub or the theatre. 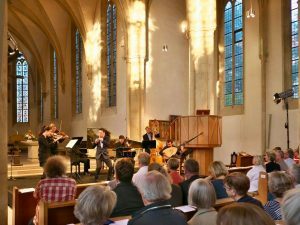 They celebrated in the concert intervals by playing their favourite pieces, works by Handel himself or vivid instrumental compositions by Handel’s troupe, i.e. his international visitors. George enjoyed nothing better than to unwind while indulging in a festive meal. He loved his food and cultivating his robust figure while Grand Concertos were being performed on the theatre stage. 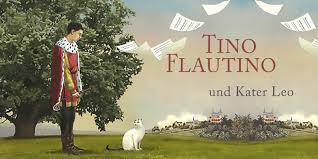 Das neue Familienprogramm TINO FLAUTINO UND DER KATER LEO | Geschichte von Jolanda Steiner | Musik von D. Sarro. L. Leo, A. Vivaldi, G.F. Händel, J.S. Bach | Erzählt in hochdeutscher Sprache | Kommt alle, für Kinder ab 7 Jahren! Concerto a quattro in d-Moll für Blockflöte, Violine, Viola da gamba & B. c.
A Ground für Blockflöte & B. c.
Concerto Nr. 1 in D-Dur für Blockflöte, Violine & B. c.
Maurice Steger entführt sein Publikum in diesem Jahr ins London des 18. Jahrhunderts. Dort florierte in dieser Zeit das Musikleben rund um den Komponisten, Theaterdirektor, Salesman und Lebemann Georg Friedrich Händel. Dieser lud sich die besten Musiker seiner Zeit ein, um bei und mit ihm Opernproduktionen auf höchstem Niveau zu gestalten. Musici wie Franceso Geminiani, Giuseppe Sammartini oder der englische Meistercembalist William Babell sorgten für frischen Wind in der englischen Metropole und für Begeisterung beim Publikum. Mindestens so aufregend und legendär wie die Opernaufführungen selbst waren aber die langen Pausen: Denn Händels majestätische Art der Erholung galt einer Auszeit mit festlichem Essen. Er genoss es, ausgiebig zu speisen und seine körperliche Fülle zu pflegen, während im Theater oder im Pub seine internationalen musikalischen Gäste ihre eigenen Werke zur Aufführung brachten, wobei auch der Meister selbst gern in die Tasten griff und improvisierte. Diesen legendären Festmählern spürt Maurice Steger gemeinsam mit Nadja Zwiener, Hille Perl und Andreas Küppers nach und serviert ein fein komponiertes musikalisches Menü rund um Händels Londoner Musikkosmos.